I was a little disillusioned at first by the lack of response I had from some of my applications. I soon learned how agencies worked and used the rating system; this I feel has really boosted my chances further. I have ... read more. I have no experience. Am I able to register? I've registered, what do I do now? Will I be offered work through StuckForStaff.co.uk? What do I do when I get called to do a job? Once registered, what should I do to get the most from the service? What do I do if I am having trouble uploading my photo? What advice can you give me on the Ratings system? I just want to get emails about Jobs in my area? 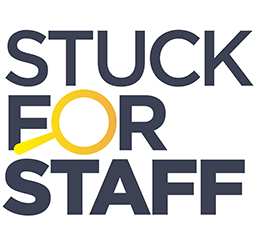 StuckForStaff.co.uk is an Internet based resource which is tailored to the Promotions, Field Marketing and Brand Experience Industry. A current subscription is required to access the content and services that are provided. To register with StuckForStaff.co.uk you do need to have an understanding of the industry. As we are an industry specific resource it would not benefit you to register without this however there is still a way. If you are not currently working in the industry but have other relevant experience and would like to register then select the appropriate option when registering and tell us a bit about you. Alternatively, if you have no previous knowledge then you can either do your own research and come back to us once you have done this and registered to an agency OR you can get the ‘Guide to Promotions and Field Marketing’ which tells you all you need to know – once you have read this you will then have have a full understanding of the industry and how to register with us. Once you have done either of these you can then revisit the website and finish your registration. The Referral code is what each registered member will be given when joining the service. For each person / company you successfully refer, you can earn rewards. If you are given a referral code you will also benefit from entering it at the time of registration. Once you have registered as a full member to the service, which is for either 6 or 12 months, you can then login and start taking advantage of all the services which include, CV builder, full access to an Agency Directory and online Jobs Board, the ability to list your Availability through a Real-time database which can then be accessed by registered Agencies and Brands, Job Alerts via email, Special Member Offers, plus lots more. Yes, but StuckForStaff.co.uk do not guarantee work. The success of our service is reliant on how you use the service. Update your availability, keep you profile up to date and accurate, and you will definitely get the best from the service. Don’t just take our word for it; take a look at our Testimonials to find out what others say. Our service is not only about providing you work, its also about providing you a central database of useful information, however one of our key strengths is offering you the ability to promote yourselves to the Industries Agencies and Brands who all book out work on behalf of major brands easily and efficiently. Details of the company who is booking you? Where and when are you are working? What you are required to do? What is the pay? How are you paid? And when are you paid? Do you have a point of contact on the day of the Job? It is best to get as much information as you can! Follow the advice listed below to ensure you get the most from the service. Profile: Ensure your profile is FULLY & accurately filled in! Your Contact Details: Keep up to date as this is how agencies will contact you. Your Registered Agencies: Tick each agency you are ACTUALLY registered with. Add at least one photo – agencies & brands like to see who they are booking. Emails from StuckForStaff.co.uk: Read these as they will contain information regarding Jobs, your profile & updates to the service. Replying quickly to any Jobs listed will give you the best chance of success. All details will be found within the email. A copy of this will also be posted on the Jobs Board online. Jobs Board: View this as often as possible as it is updated daily - once positions are booked they are usually quickly removed. Availability: Update this as often as possible – each time you do so you will go to the top of the availability list that all agencies can view. Ensure your photo is in the correct format. Please upload PNG, JPG, GIF, BMP or TIF files, no more than 512kb each. This is aimed at rewarding you for your efforts. Increasing your overall rating will encourage Agencies within the Industry to book you! We all know the industry is competitive – stand out! What you should do each time you work for an Agency is request a rating. You can also request Ratings from Agencies you currently work for providing they are listed on our Database – if they aren’t listed simply submit their details to us and we will ensure they are so that you can build your ratings up. Becoming a full member of StuckForStaff.co.uk costs £17.50 for 6 months or £30.00 for a year. Futurepay ensures your subscription does not lapse, thereby preventing a loss of service. On the last day of your subscription the payment method you initially paid with will be re-charged . If you do not want your subscription to renew or wish to change the payment method you can do so by logging into your Futurepay account. Details on this can be found on your Subscription page (when logged in) and also in the emails you received when you first registered. If you wish to cancel your Futurepay subscription simply login to StuckForStaff.co.uk, navigate to your subscription page and click the "Cancel FuturePay" button. You will be sent an email confirming if this has been successful. Please contact us if you do not receive a confirmation email (remember to check your Junk folder first). Alternatively login to FuturePay directly with the details you were emailed when you first registered to StuckForStaff.co.uk, and cancel the agreement from there. You can opt-out of receiving emails by clicking the link at the bottom of the emails and following the instructions, however we strongly recommend you do not as we only ever send you information on the services and jobs you may be interested in. If you visit the Jobs Board you can find an option allowing you to check whether you would just like to receive ones local to you.